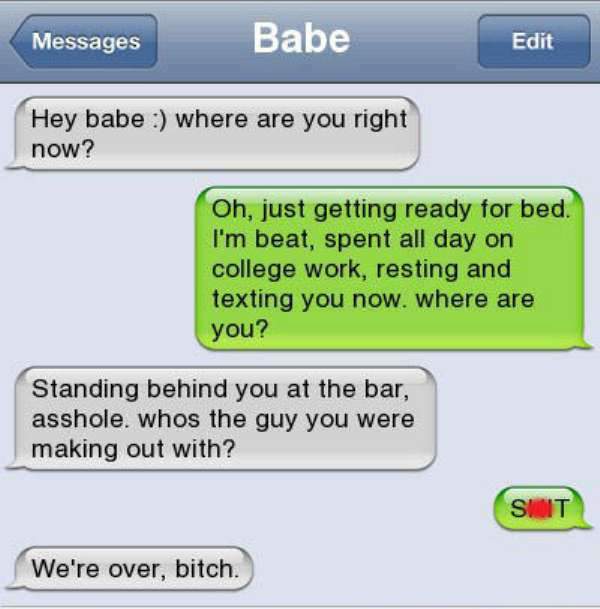 Breaking up with your boyfriend/girlfriend was never so easy until the invention of text messages. Now, you don’t have to meet your partner to break up with him/her and also, they can’t simply embarrass you in public for breaking up with them. With just a click on your mobile, you can directly break up with them and that too without facing the awkward solution. It’s just a cherry on top for all the people who don’t want to be in a relationship anymore. 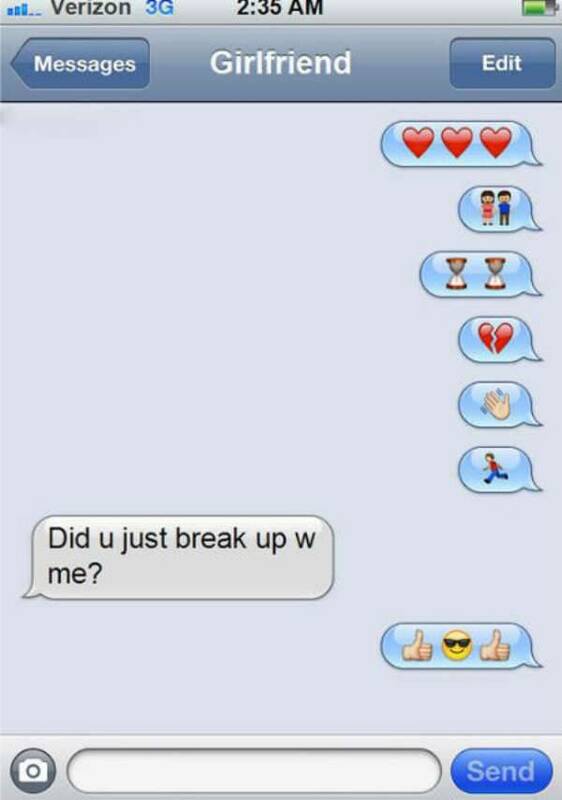 This is where the funny break up texts can help you feel like a boss. 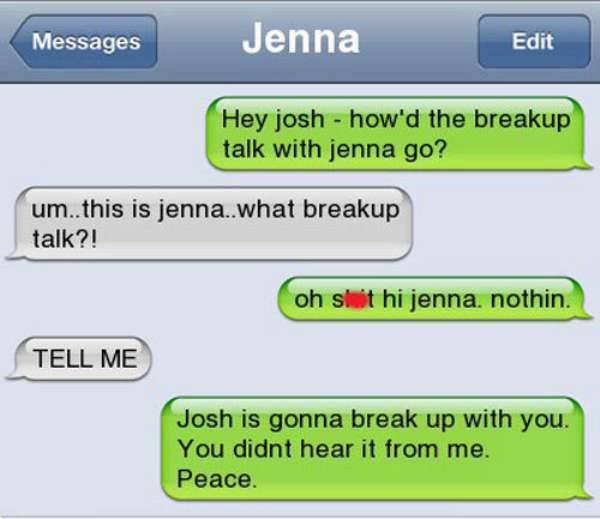 For your ease, we have compiled a list of 10 funny break up texts that are completely savage. 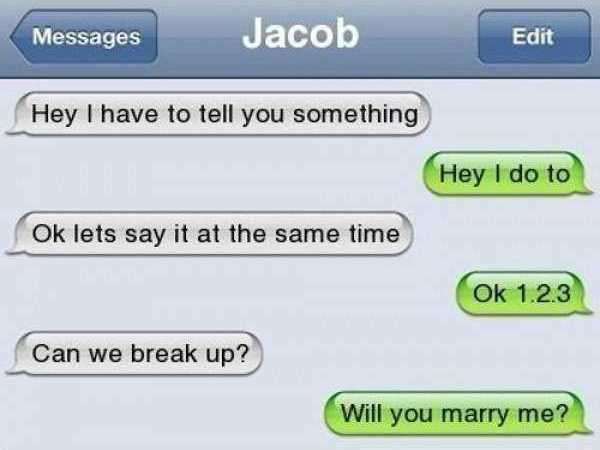 If you are planning to break up with your partner anytime soon, then the below hilarious break up texts can be a great help for you. 1. Well, this time the things didn’t go as planned. 2. When you want your partner to feel the pain of break up. 3. 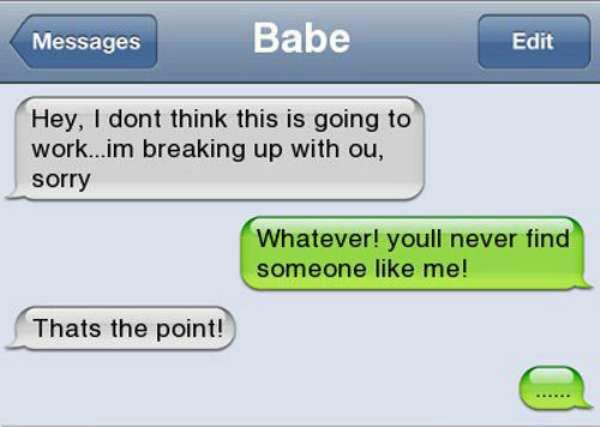 This man really knows how to break up like a boss. 4. 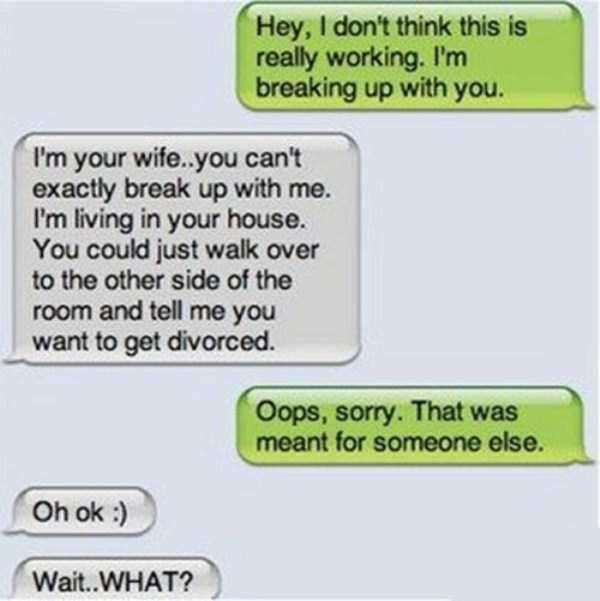 This is technically not one of the funny break up texts but it is the best text behind someone’s divorce. 5. 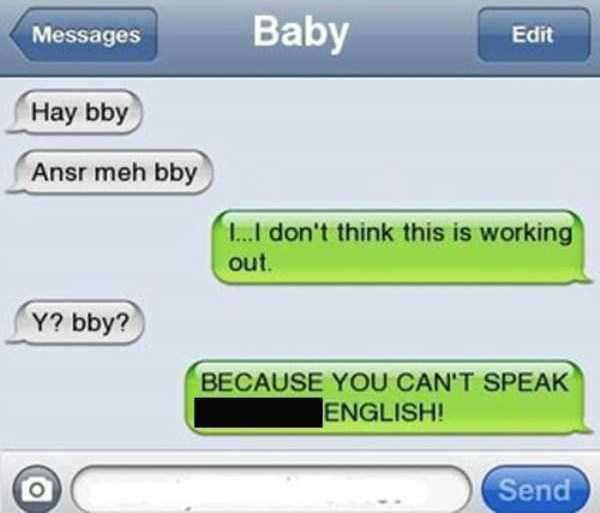 Apparently bad English can be the cause of your break up. 6. How to win over your bae like a boss. 7. 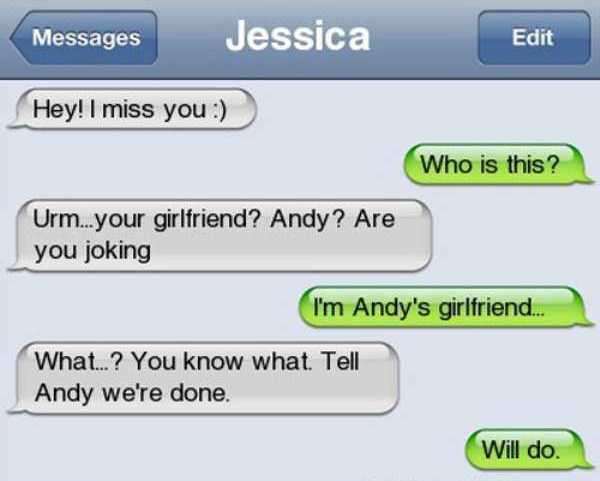 This breakup text teaches you how to break up with your girlfriend instantaneously. 8. The number one reason why you shouldn’t text to your friend who is in a relationship. 9. We think his girlfriend completely missed the point. 10. 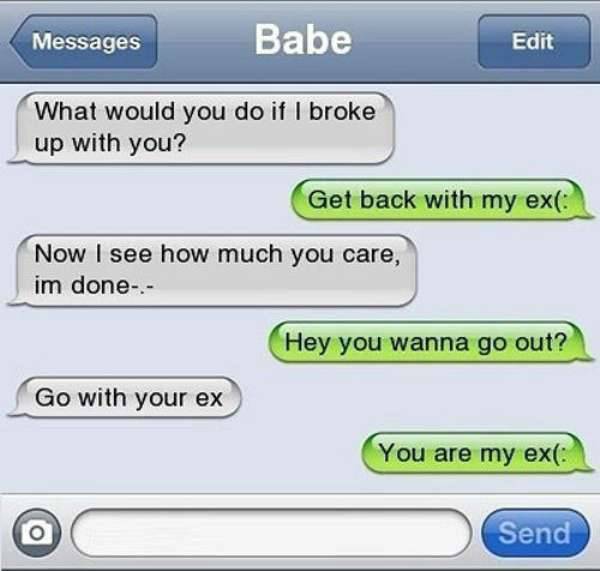 Last but one of the best funny break up texts of all time. Don’t miss: 10 Funny Relationship Memes That Every Couple Can Relate To. 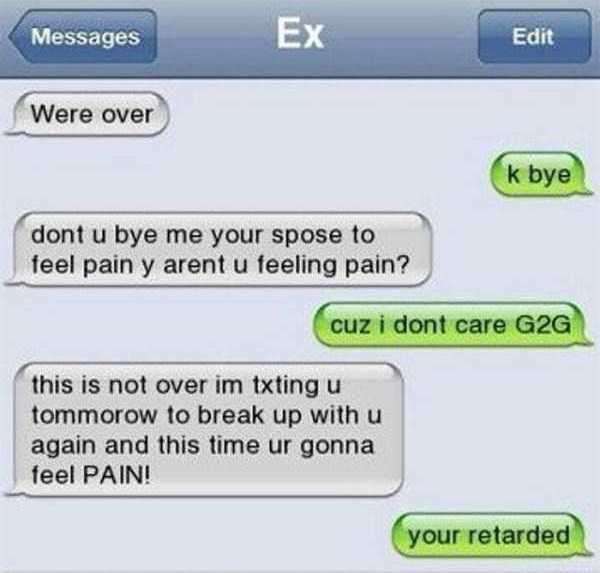 You must use these funny break up texts when you want to get out of your relationship and do share your experience with us. Also, if these text messages made you laugh hard, share it with your friends and loved ones.